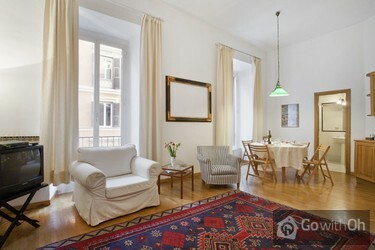 The entrance leads directly to the main room that receives a lot of natural light through two big windows overlooking the street. 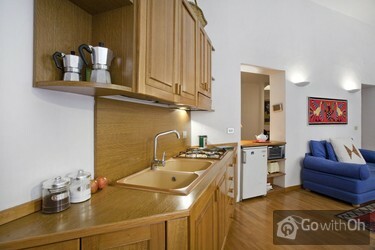 In this space is a living room area, a dining area and the kitchen. 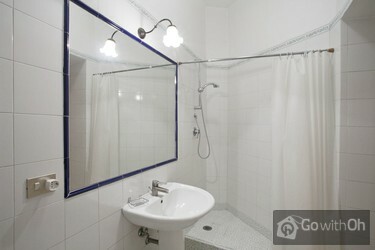 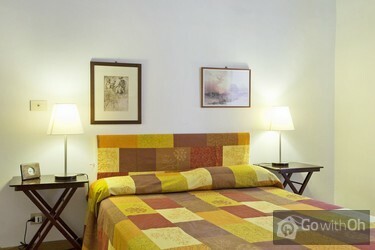 There is a spacious separate bedroom and a bathroom. 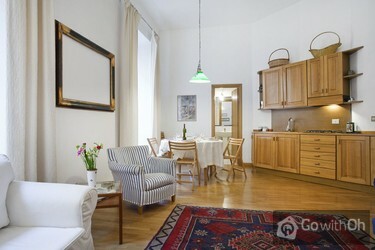 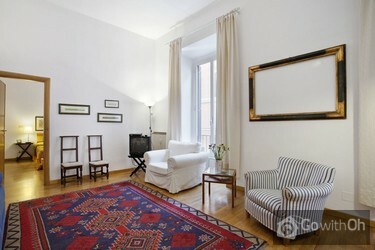 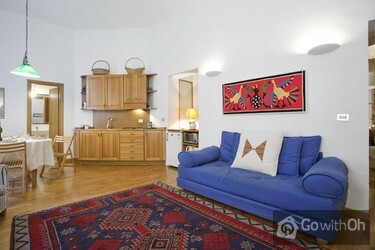 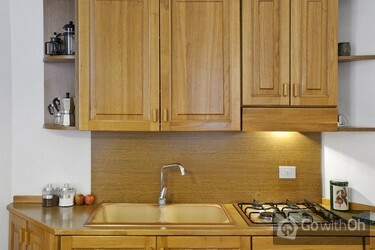 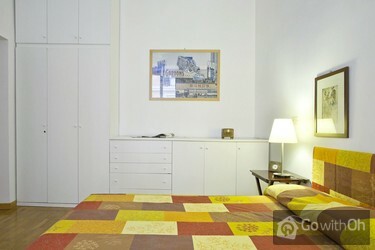 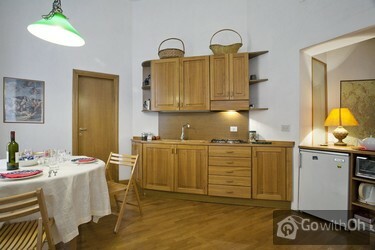 Well decorated, with wooden floors and high ceilings, this is a modern apartment to stay in. 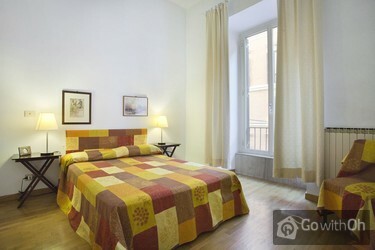 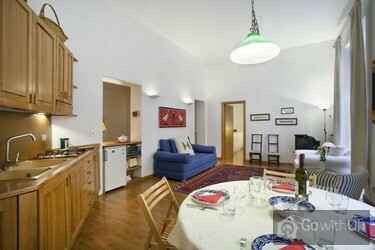 Trastevere is a trendy area of the city with a vibrant nightlife in the local bars and restaurants. 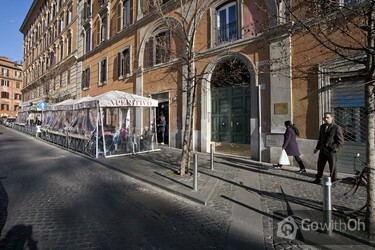 Piazza San Cosimato offers charming restaurants and shops and is within walking distance from the church of Santa Maria in Trastevere and the Villa Farnese.